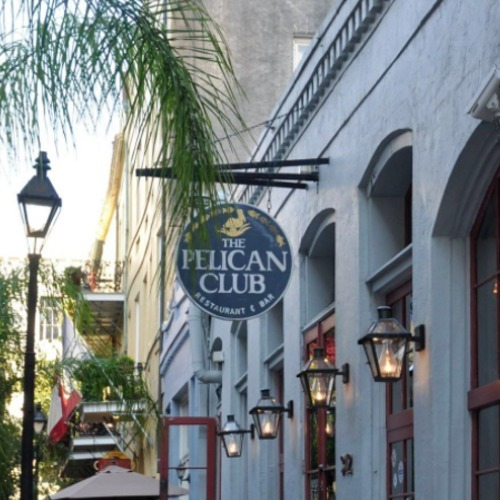 The Pelican Club, offering a wide range of fabulous New Orleans dishes, consists of three dining rooms and a large bar fashioned from a handsome, 19th-century French Quarter townhouse, rising from the corner of Bienville Street and Exchange Place in the heart of the French Quarter. Owner, Richard Hughes, and his wife, Jean Stinnett-Hughes, transformed a neglected architectural gem into a welcoming restaurant decorated in a crisp blend of traditional and contemporary. Each room has its own ambiance, created with such diverse elements as burnished Louisiana cypress, contemporary paintings by New Orleans artists, antique prints, and the dramatic contrast of black-leather banquettes against cream-colored brick walls. 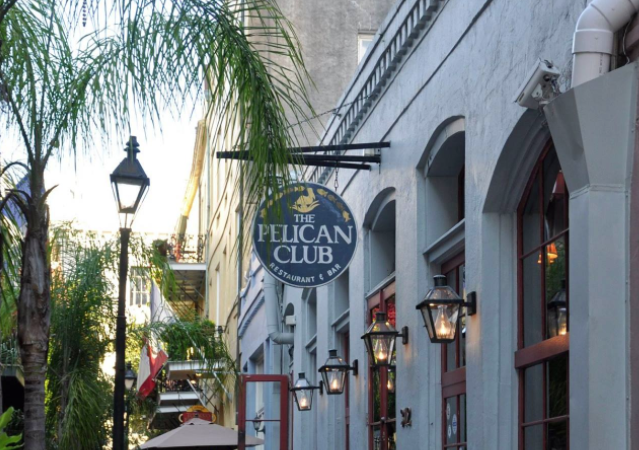 Such an atmosphere is sure to make your meal feel like a truly New Orleans experience.